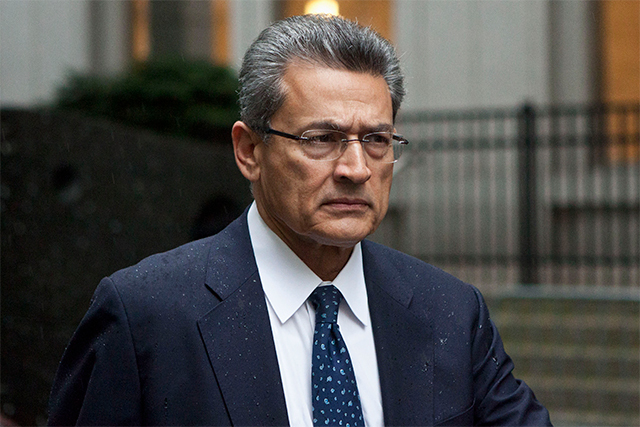 Is former McKinsey chief Rajat Gupta getting back to business? Rajat Gupta, former managing director at McKinsey & Co, wants to get back to business. At least that is what a media report says. The Economic Times said on Tuesday that Gupta, who was freed from prison earlier this year, is in India and has been meeting old friends and business colleagues that include some of India Inc’s biggest names. The Economic Times says that top industrialists including Analjit Singh of Max India, Sunil Bharti Mittal of Bharti Enterprises, Atul Punj of Punj Lloyd and Anand Burman of Dabur recently met Gupta at a party hosted by Singh. Others on the guest list included Gupta’s former McKinsey colleague Pramath Sinha and KKR India’s Sanjay Nayar. Could Gupta be looking at a second innings, investing via the private equity route? We don’t know that yet and it is best not to speculate. Having said that several former top global executives of Indian origin have done the same after being ousted. Former Citigroup Inc CEO Vikram Pandit teamed up with Nobel prize winner psychologist Daniel Kahneman and Steven Levitt, co-author of ‘Freakonomics’ series, to launch a consulting firm TGG Group, and also created a real estate fund with JM Financial. Pandit, who has backed early ventures, has also reportedly started a company with a Comcast-backed investment firm. Former Deutsche Bank co-chief Anshu Jain partnered with his ex-colleague Bhupinder Singh to launch a non-banking financial company in India. Jain also advises San Francisco-based fintech startup SoFi. Former Vodafone CEO Arun Sarin too has made investments in companies like taxi aggregator Ola, music streaming app Saavn and telephone directory app Truecaller. Gupta himself was one of the founding partners of the $1.4 billion private equity firm New Silk Route, but later went on to sue the firm’s CEO Parag Saxena, accusing him of a breach of contract. In December 2013, however, Gupta’s case was dismissed. This is not the first instance when reports of Gupta’s possible return to the world of business have surfaced. In January this year, The New York Times had reported that the IIT Delhi-Harvard Business School graduate had begun working from the offices of his former McKinsey colleague Purnendu C Chatterjee, who is based out of the US. The NYT report noted how Gupta had “enormous financial losses to recoup.” Just a decade ago, his net worth was more than $130 million, the report said, adding that in 2012, the court, while sentencing, had fined him $5 million and in 2013, the US Securities and Exchange Commission secured a $13.9 million penalty against him. Gupta was also asked to reimburse Goldman Sachs $6.2 million and “may also be forced to pay Goldman for his legal defence, which has cost more than $40 million,” the report noted. In 2012, Gupta was convicted for insider trading and illegally passing confidential boardroom information to Sri Lankan-American former hedge fund founder Raj Rajaratnam. Gupta, who has served a two-year jail term for insider trading charges, has, however, not given up his legal fight as he has held that he got no financial benefits in the Raj Rajaratnam insider trading case.